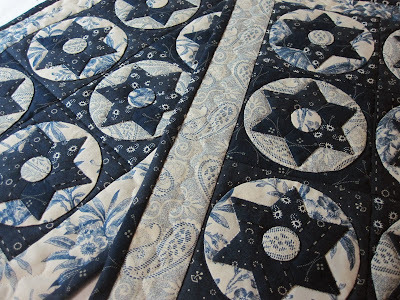 I am excited to share my first finished project of 2014! 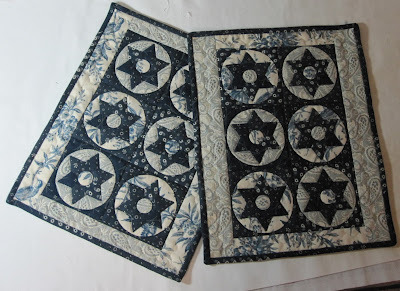 My two starflower quilts. One is for me and the other is for the Quilts on the Grand 2014 small quilt auction. Its nice to have this done and knowing that I won't be scrambling around at the last minute to finish it on time (like I usually am)! 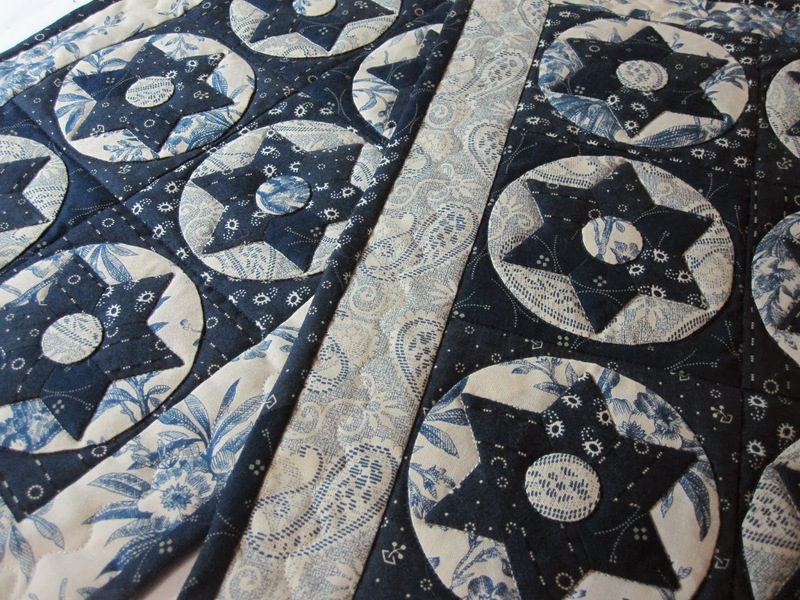 I'm not sure if you can tell in the photos, but I used all the dark blue fabrics to create the binding. I'm currently piecing a kit that I grabbed from a year end close out sale! It has wonderful bright rainbow colors, just the thing to brighten up my day after all this snow we are getting here in Michigan.